ARMOR Stock & Ready is more than a name, it is an approach. An approach centered on simple ordering, quick turnaround and fast shipping. We took the concepts of ease and convenience perfected by innovators such as Amazon Prime® and Little Caesars® HOT-N-READY® and applied them to the world of “VCI Packaging” and the result is ARMOR Stock & Ready. It is simple, any item on the Stock & Ready product list is just that—it is in stock and ready-to-ship. All items on the Stock & Ready product list are in-stock and ready-to-ship with no order minimums. Stock & Ready orders placed by 1 p.m. EST will ship by next business day. All items are in stock and ready to ship. We promise. At ARMOR, our goal is to deliver a purchase experience with simple ordering, economical pricing, quick turnaround and fast shipping. We took big steps to transform our internal systems to make it happen. Say hello to Stock & Ready, a name that we at ARMOR take seriously — and literally. Stock: we tripled our inventory of rust prevention and rust removal products to ensure that they are in stock, on the shelf and ready-to-ship. Ready: we refined our order processing and added staff to our shipping team to ensure that we complete and dispatch orders turbo fast. It’s not fancy. No bells and whistles. That’s the point. As part of Stock & Ready, we developed our Stock-to-Save Matchmaker. It won’t find you your soulmate, but it will find those ARMOR stock products that most closely match your current custom products. Let our Stock-to-Save Matchmaker create a stock product recommendation for you. It’s easy, just give us the details of your current custom product(s) and we will generate a list of those ARMOR stock items that closely match. Stock items ordered from our Stock & Ready product list are in stock and ready-to-ship. We call that a match made in heaven. Stock & Ready offers a wide selection of rust preventing ARMOR POLY VCI bags and bin liners that are pre-sized to fit the shipping and storage containers used by many OEMs. To simplify the process of determining which ARMOR POLY bag is best paired with a container, we created a Container Compatibility Finder. We uploaded the dimensions and container codes for many of the shipping and storage containers used by 13 of the largest OEMs into our Container Compatibility Finder. With the addition of just a few details from you, our finder instantly generates a custom recommendation of ARMOR POLY bags most compatible with your specified container. Better yet, Stock & Ready will have the recommended bags in stock and ready-to-ship when you order. The Container Compatibility Finder does the work for you. It’s not magic, but it is pretty amazing. ARMOR offers rust preventative VCI bags that are sized to fit the shipping and storage containers utilized by these manufacturers. Try our Container Compatibility compatible Finder to find your fit. ARMOR Stock & Ready—the rust prevention and rust removal products you want, when you want them. 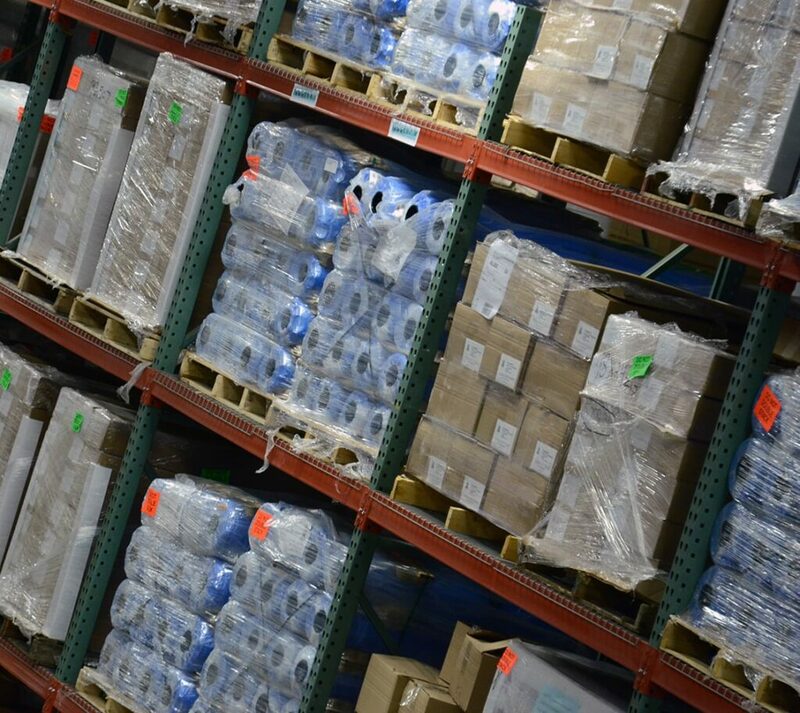 Any item on the Stock & Ready product list is just that—it is in stock and ready-to-ship making it easy to replenish inventory, save storage and warehouse space and ultimately save money. We promise. Have questions? Check out our list of frequently asked questions and answers or call us at 800.365.1117. What is ARMOR Stock & Ready? As consumers in and out of the workplace, the team at Armor Protective Packaging® recognized that our own personal purchasing behaviors have evolved. In a world where online ordering is the standard, we as consumers have come to expect simple ordering, quick turnaround, and fast shipping. As a company, ARMOR made a commitment to provide its customers that same purchase experience when placing an order with us. The result is the launch of ARMOR Stock & Ready. Designed to enhance our customers’ purchase experience, Stock & Ready offers a full catalog of ARMOR VCI rust preventative packaging materials and products that are in stock and easy-to-order; economically priced; processed and shipped quickly. How does Stock & Ready benefit me as an ARMOR customer? What are the Stock & Ready Shipping Standards? If customer chooses the freight company, carrier availability may dictate exact ship date. Stock & Ready orders will ship in one to two business days, depending on the time of day they are placed as outlined in our shipping standards. The number of days an order may spend in transit is dependent upon the delivery location/zip code. Is there a required minimum order amount? There is no minimum dollar requirement for an order! ARMOR will ship as little as 1 case of product. How much of one stock item can I order and still qualify for Stock & Ready’s fast one- to two-day shipping? Due to changes in demand, a full-pallet quantity per product (unless specified on stock list) is the typical maximum order when ordering through Stock & Ready. Capping order size ensures that orders will fast-track from processing to fulfillment to shipping in one to two business days as outlined in the Stock & Ready shipping standards. (Example: For an order of 50 rolls of ARMOR POLY® 55x45x80 bags (25 rolls/pallet) one pallet or 25 rolls would be eligible to ship within the Stock & Ready program) Higher quantities may require additional lead time. The stock item I want to purchase has a maximum order of one pallet. Can I order more? Absolutely. We will ship one pallet right away as part of our Stock & Ready promise and process the balance of the order using custom lead times. This ensures that our inventory of stock products is available to all of our customers when they need it. Can I get better pricing if I order more than the maximum offered as part of Stock & Ready? Yes. We offer many price breaks beyond the last bracket. However, any order that exceeds the maximum quantity available for order through Stock & Ready will be processed with lead times similar to custom orders. You can opt to have one pallet of your items shipped immediately or to hold shipment until the entire order is complete. What happens if I order a stock item and it is out-of-stock? Key to our Stock & Ready Promise is that we will have the products you want, when you want them. It is our goal to achieve and maintain a 99.9 percent stock rate on all stock items. On the rare occurrence that ARMOR is unable to fill your order, we will do whatever we can to make it right. What if my order contains both custom and stock items? Custom orders require additional lead time. If a combined order of custom and stock items is placed, the custom items will dictate overall shipment lead-time. If you prefer, the order can be split – with stock items shipped first** and custom items shipped separately, once they are available. **Stock items ordered must meet Stock & Ready Shipping Standards to qualify. Additional shipping charges will apply once custom portion of order is sent. Do you offer extra discounts if I order multiple items on the Stock & Ready list? While the product or item pricing cannot be discounted, combining multiple line items in one order will certainly offer cost savings on shipping. What if I need my order shipment expedited? Expedited and/or same-day shipments are defined as those outside of the Stock & Ready Shipping Standards. If rush shipment falls outside of the shipping standards cut-off times, a $25 fee may apply. For same-day shipments, order must be received by 3pm EST and meet requirements of UPS or FedEx transit. ARMOR will make every effort to accommodate requests. Expedited shipping charges apply. What if I (or my customer) requires special labeling on the product? ARMOR knows that special labels are often required and we will do our best to comply. However, special product labeling delays order processing time. Therefore, products requiring special labels are exempt from the Stock & Ready shipping standards. I want to be sure that your product(s) will work with my application -- can I get product samples before I order? We want to make this easy — ARMOR is happy to provide a Free Sample of the items(s) you are considering. Samples are sent via standard U.S. Postal Service. If you prefer a quicker delivery or tracking service, please provide a UPS or FedEx account number and we will send your sample(s) ASAP. To request a change or cancellation of your Stock & Ready order, contact our Customer Care Team at 1-800-365-1117 immediately. Some stock items ship immediately after order is received, in these instances order cannot be adjusted. Can I have orders drop-shipped? Yes, ARMOR is able to drop ship orders to your specified delivery location. We are not able to offer blind shipping at this time.